A loan that was taken by the British Government to pay slave owners for the abolition of slavery in 1834 was not fully repaid until 2015. Who paid it? We did – the working people of Britain. 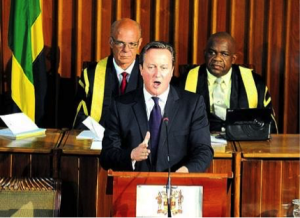 Cameron tells the Jamaican Parliament, 2015. As the Windrush Scandal fades into the blur of yesterday’s newspapers, the fact that British citizens were being deported from their home country to strange lands because they were black is being conflated with overblown accusations of anti-semitism against Corbyn’s Labour Party, along with excuses that officials were ‘overstepping’ the mark. Let’s be clear; the Tory Party in the UK is the living, breathing arse-end of an Empire that never disappeared. 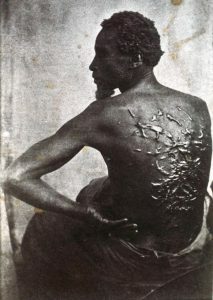 The descendants of those wealthy families, who still own and control this country, and who profited from the degradation and enslavement of their fellow-human beings, were then paid compensation for the loss of ‘their’ slaves – that the working people of this country have had to repay ever since. 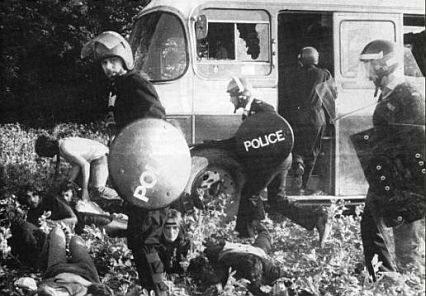 Not just the old English working class, but also the West Indian community, were expected to pay the debt owed to the bankers for the slave owners’ reparations loan – and the ‘debt’s’ last instalment was finally repaid in 2015. So from every cut of your wage packet that the Government took until that time, some of it would have been paid to the slave masters, whose descendants are the corporate politicians and aristocrats still running Britain. 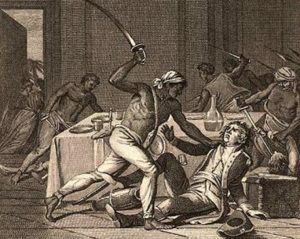 The people who paid for Africans to be kidnapped, confined and transported to the Caribbean were – when public disgust with the ‘business’ led to abolition – compensated with nearly half the Treasury’s annual budget, for which the Government had to take out a loan (no doubt from the same bankers and bondholders who had profited so greatly from the African Holocaust). 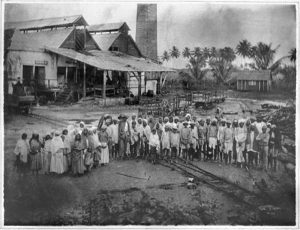 The British government paid out £20m to compensate some 3,000 families that owned slaves for the loss of their “property” when slave-ownership was abolished in Britain’s colonies in 1833. This figure represented a staggering 40 per cent of the Treasury’s annual spending budget and, in today’s terms, calculated as wage values, equates to around £16.5bn. This loan had to be paid back in annual instalments by the British Government – who passed on the debt to the working people of the country, whose taxes – instead of being used on hospitals and schools – would ultimately repay the filthy loot paid to the royals, aristocrats, bankers and industrialists for the loss of their ‘human chattels’. It is unimaginable that until 2015 ordinary people in Britain, including Black People, were still repaying the Slave Abolition Loan which equalled over £ 20 billion in today’s money. The purpose of the press conference – held at the Centre for Reparation Research (CRR) – was to confront claims by the British Government’s Treasury posted via a #FridayFact on its official Twitter channel on Friday, February 9, 2018. The tweet, which was shared with the HM Treasury’s 318,000 followers, read: “Millions of you helped end the slave trade through your taxes”. What we were never told was that a portion of the taxes that every working man and woman in this country were paying in the UK until February 2015 were going to repay the loan that the British Government took out in 1834 to compensate the slave-owners of the British ruling class. 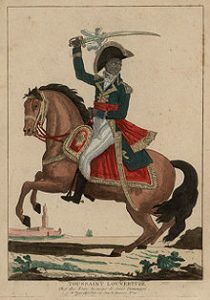 Needless to say, as in Haiti – where the impoverished people were faced with a debt of 150m gold francs (£14bn) to pay for their freedom from the French – the enslaved Africans of the British plantations never received a brass penny – they were instead expected to work for 6 extra years for free to pay for their own liberty. When Cameron, the Prime Minister of Great Britain addressed the Jamaican Parliament in September 2015, he told the people of the Caribbean islands that slavery was ‘a long time ago’ and they should ”move on from it’. Easy to say for him – his family had done very well out of the reparations paid to the slave-owners when slavery was abolished 180 years ago. Researchers have discovered that one of (Samantha Cameron’s) kinsman was a slave owner who received the equivalent of millions of pounds as compensation from the British government when the trade in humans was abolished. The Rev William Jolliffe, of Upper Tilgate, near Crawley in Sussex, was an entrepreneur whose company was responsible for the construction of Waterloo Bridge, Dartmoor Prison and the new London Bridge*. He gave it all up for the church and became a vicar. However, before he embraced the church, he became a beneficiary of slave ownership through complicated legal transactions in which “all claims due” to the failed merchant firm of Inglis Ellice and Co, which held mortgages on properties, were transferred to him. In connection with this, the Ballenbouche Estate in St Lucia received £4,174, 5s, 8d for 164 slaves, which is about £3.25 million in today’s money. The Camerons, of course, are only two of the descendants of the wealthy families in Britain whose fortunes were built on slavery and the ensuing ‘slave-owner reparations’. But his attitude is instructive – it shows us exactly what he and his Party think and believe about slavery, and the continuing effect it still has on the peoples that were subjected to it, just a few generations back. And just as they still suffer the economic and social stresses from the after-effects, Cameron and his ilk still benefit from the money we all paid their families for exploiting and enslaving African people. His class had already dispossessed the peasantry of their own land through feudalism; then enclosed the common land, driving the people from the countryside into ‘dark, satanic’ towns and cities – where children as young as four were expected to work 20 hour days in mills and factories. This ruling class had colonised Ireland through bloodshed and famine, ‘cleared’ the Scottish Highlands and turned Wales into an impoverished nation of coalminers and subsistence farmers. It did not seem a great leap from transporting Irish, or the orphaned urchins from the streets of London as bonded servants to work on the early plantations, to replacing their labour with Africans ‘bought’ from slavers on the Gold Coast; and then de-personalising and dehumanising their human cargo, seeing it as just human resources (a derogatory phrase, familiar to anyone working in the capitalist business world). The Atlantic Slave Trade was Industrial Slavery and it was justified by racism, an ideology that mistakes the colour of people’s skin as an indicator of their human value. 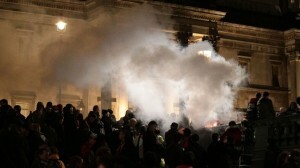 By inculcating enough of the working people of Britain with this ideology to comply with evil – often justified by “Christian conversion”, Old Testament hypocrisy or some pseudo-science – the ruling class was able to use one group of dispossessed people against another; a practice that has served them well over centuries. By the 1800’s, British working people had woken up to the fact that the treatment of the Africans was merely murderous, mechanised barbarism profiting the same class who had previously dispossessed and exploited them, and they pushed for Abolition. It wasn’t the ‘great and good’ but the working people of Britain who determined the end of the Atlantic Slave Trade – which took another 30 years. And not only the British working class – the Africans themselves never gave up the spirit, from the time of the great Toussaint L’Overture and the Haitian Revolution, to the Maroons in Jamaica. Samuel Sharpe led the largest uprising by enslaved people in 1831. It started out peacefully, with enslaved Africans refusing to work. But things escalated and, in resistance, Africans burnt down houses and warehouses full of sugar cane, causing over 1 million pounds worth of damage. More than 200 plantations in north Jamaica were taken over as more than 20,000 enslaved people seized control of large chunks of land. Progress towards Abolition was accelerated, and the British working people celebrated. However, those same workers were then expected to sacrifice a portion of their meagre wage-packets to ensure the same parasitical class who had become so wealthy from slavery would also profit from abolition. Many plantation and estate owners were already looking at replacing the human slaves with the ever-improving machinery of the steam age, so the ‘compensation’ was merely a way of using the workers in Britain and the hardly-free slaves in the West Indies to pay for their new investments – the rich getting richer, and the poor paying in blood sweat and tears…and of course, they kept a soft-focus version of slavery through the indentured worker system, which lasted for nearly another century. So when Amber Rudd – or her successor – apologises for deporting people who have spent their lives as part of the British community ‘back’ to the West Indies, they are merely demonstrating the actual contempt they have for anyone who is black, or poor, or not part of that class to which all Tories secretly aspire; the class of slave-owners who still look on ‘their’ populations as merely human resources for the money tree that always seems to bear them fruit – in the cult of capitalism there is only room for the masters and the slaves….and if you worship at its altar, you are either one or the other, as we can see from who paid the debt to the slave owners. 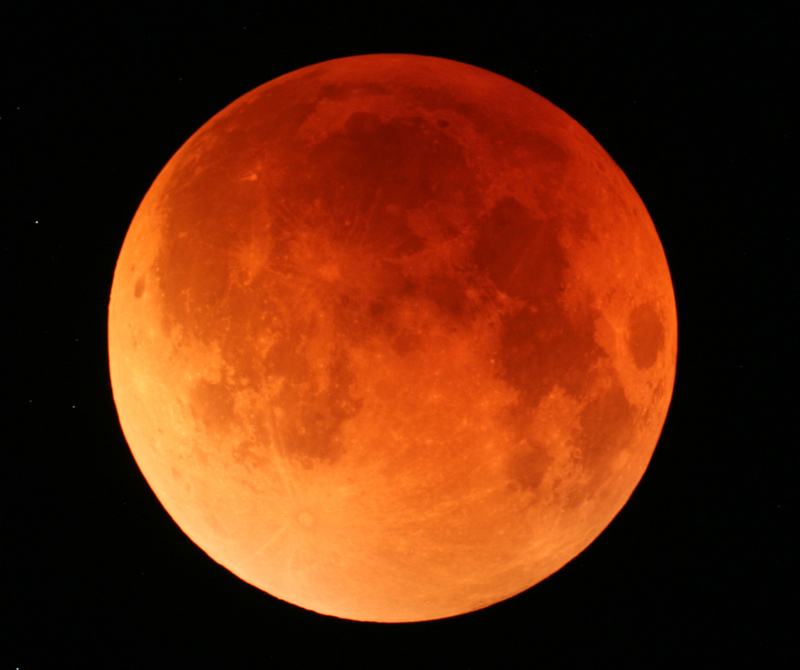 Tonight it will be possible to witness a lunar eclipse across Australasia, southern Japan, a large area of Asia, India, Africa, Europe and the eastern part of South America. A previous lunar eclipse was seen on May 22, 1453. during the siege which ended the Eastern Roman Empire, also known as the Byzantine Empire; when Byzantium / Constantinople fell to the Ottomans, which effectively split Eurasia in half and ended the last imperial system of the Ancient World in the Northern Hemisphere. The siege lasted from Thursday, 5 April 1453 until Tuesday, 29 May 1453, after which the city fell ; the lunar eclipse and the ensuing blood-moon was considered to be part of the fulfilment of a prophecy concerning the city’s demise. More details on today’s eclipse here . . .